Most homes in the U.S. have asphalt shingle roofing systems–and for good reason. Asphalt shingles are tough, they last for a long time, they’re pretty easy to fix and they are an affordable option. Over the years, however, many forward-thinking homeowners have come to consider another option: metal roofing. 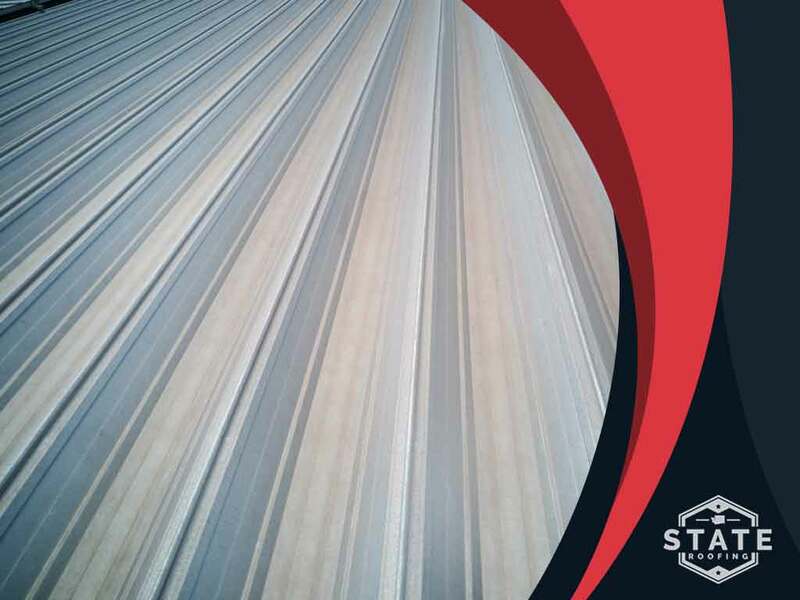 In this post, State Roofing discusses what you need to know about the advantages of a metal roof. If you’re looking for energy efficiency, then there’s no doubt that a metal roof is the way to go. Metal roofs are energy-efficient and they can be coated for better reflectance, which means your roof will reflect sunlight rather than absorb it into your home. This will allow you to save on air conditioning bills during the summer. During the winter, metal roofs can provide excellent insulation to keep you warm. Metal roofs cost a bit more than asphalt shingles, so it’s best to call State Roofing, your decks and roof expert, for an estimate. Metal roofs are tougher than most other options, including asphalt. A metal roof can withstand even a hailstorm far longer than an asphalt roof can. It may sustain small dings and marks, but its reliability is not likely to be affected. If you’re environmentally conscious, that’s another reason to get a metal roof. Most of the time, metal roofs contain about 30% recycled material. A used metal roof, as a matter of fact, can be fully recycled. This makes metal roofing more environmentally friendly than asphalt. Turn to State Roofing for your home improvement needs, from decks to roofing systems. Give us a call at (360) 205-3100 or fill out our contact form to schedule a free estimate. We serve clients in Seattle, WA, and other nearby areas. Contact us for more questions.